We sell all types of tires, not just Firestone. Don’t see your tire? Give us a call. We will get it for you. DescriptionThe Destination LE is a tire that allows for command of the road with comfort. The Destination LE combines outstanding performance on wet and dry roads with the comfort and quiet of passenger tires. That makes for a relaxing ride on those long commutes. With a 60,000 mile limited treadwear warranty, the Destination LE with UNI-T is built to go the distance and give you plenty of time to enjoy the drive. DescriptionFinally, a tire that integrates engineering and artistry. A masterful blend of form with function. Ride comfortably in secluded calm and quiet as you take control of the road. One caveat. You may end up disillusioned with other tires. DescriptionThe Firestone Destination A/T is the SUV and light truck all-terrain tire for drivers who want to go wherever the road leads--from main streets to the woods. The Destination A/T is built to adapt to travel in wet or dry weather and gives you an extra measure of confidence in handling and braking on those rainy days. All-terrain performance is complemented by added technology that promotes a smooth and quiet ride. DescriptionThe Dueler H/P Sport lives up to the high performance standards of your premium Sport Truck or SUV. The non-vent design and aggressive look of the sidewall fit the sleek lines of these imposing vehicles. In fact, the Dueler H/P Sport is an Original Equipment choice in the category. Expect the tops in wet performance with a power traction of high silica content to let you drive with confidence in changing road conditions. DescriptionThe Dueler H/L 400 is widely used as original equipment on many of today's most popular light trucks and SUV's such as the Acura MDX, Audi Q7, BMW X5, Mazda CX-9, Mercedes-Benz M- and R-Class, and Toyota Highlander. DescriptionThe Dueler A/T RH-S comes as original equipment on many of today's most popular light trucks and SUV's including Chevy Avalanche and Silverado, Hummer H3, and Jeep Wrangler. DescriptionThe Bridgestone Dueler H/T comes as original equipment on many light truck and sport utility vehicles and lets you fully experience the excitement without sacrificing a smooth, quiet ride. It combines the versatile performance you need with the sleek styling you want. DescriptionTough road conditions are easy to handle when you are riding on Dueler A/T Revo 2 tires. With its balanced tread design, this tire helps to deliver great performance as well as a quiet and smooth ride. DescriptionWant to turn heads everywhere you go? The Firestone Destination ST was designed to do just that - while delivering a smooth and comfortable ride. With its asymmetric tread pattern designed to enhance handling, this elegant tire delivers astonishing all-season performance, and does so in breathtaking style that will have everyone talking. DescriptionThe Dueler H/L MOE is produced exclusively for the BMW X5, and is used as its original equipment fitment for several different option packages. DescriptionThe Dueler H/P Sport RFT lives up to the high performance standards of your premium Sport Truck or SUV. The non-vent design and aggressive look of the sidewall fit the sleek lines of these imposing vehicles. In fact, the Dueler H/P Sport is an Original Equipment choice in the category. Expect the tops in wet performance with a power traction of high silica content to let you drive with confidence in changing road conditions. DescriptionThe Dueler H/L 400 RFT is widely used as original equipment on many of today's most popular light trucks and SUV's such as the Acura MDX, Audi Q7, BMW X5, Mazda CX-9, Mercedes-Benz M- and R-Class, and Toyota Highlander. DescriptionThe Terra Grappler offers year-round all-terrain performance through a balance of wet and dry performance and on-road comfort with minimal road noise. The Terra Grappler All Terrain provides balanced performance in all weather conditions over various terrains. DescriptionIf you are looking for a tire that works as hard as you do for your light truck or SUV and you want great value for your money, look no further than the Firestone Destination LE2. It delivers year-round performance as well as a quiet, comfortable ride. DescriptionThe Dueler H/P delivers sports car-like handling that allows you to unleash the performance potential of your light truck or SUV. The Dueler H/P offers you exceptional handling in wet or dry driving conditions. Wet braking, wet handling, and noise minimization are all exceptional features of our Dueler H/P, engineered to please drivers with an active lifestyle. DescriptionFor enhanced high performance grip on any road surface, the Roadian HP is the right choice. Its large shoulder block maximizes cornering grip and stability, while the arrow-type center rib improves handling. Pattern noise is reduced by a 5 random pitch variation. When wet conditions hit, wide deep grooves provide excellent drainage, braking and anti-hydroplaning. DescriptionThe Roadian HT does double duty on the highway and rougher terrain. Rigid shoulder blocks assure precise handling, maximum load durability and progressive cornering. Off-road performance and snow traction are improved by well-balanced and multiple kerfs. 5 Random pitch variation reduces noise, while the HT's twin-block design improves durability and road contact. Water is effectively drained reducing the risk of hydroplaning by 4 wide straight grooves. DescriptionThe Roadian AT is a high rigidity tire for the exclusive use of RV/SUVs.� The tire�s rim protector allows for perfect running performance on rough roads; wide grooves and 1 semi�groove assist directional driving stability at high speeds. Taking those turns is made safer and more precise with an enhanced shoulder design that also maximizes load durability. DescriptionAn all-position, all-season tire which provides excellent traction on wet pavement, snow and ice for delivery vehicles, vans and moving trucks. DescriptionAn all-position steel belted radial rib design tire for commercial light trucks and vans. DescriptionThe Destination M/T is the first Firestone light truck tire with advanced wet handling and braking. Plus, you get a whole package of advantages from DMR Max Traction Light Truck Tire Technologies, exclusively from Firestone. With deep skid lugs, three-body ply construction, over-the-shoulder tread/lug design and our special Rim Guard Off-Road Protector Rib, the Destination M/T is as tough and durable as it looks. Since it's pinned for studs, the Destination M/T is also ready to deliver extra grip in winter conditions. All these features add up to a light truck tire that has what it takes for off-road, all-terrain, all-season performance. DescriptionThe Transforce HT is packed with features to make it a driving force for light truck and commercial vehicles. Deep shoulder slots and circumferential grooves gives traction in wet conditions. The polyester and steel construction, plus a high modulus tread compound, help resist the rigors of heavy-duty work. With a modern, all-season tread design and noise reduction technology, the Transforce HT also provides a comfortable ride. DescriptionThe Transforce AT delivers all-terrain wet and dry performance that you can count on. Combine polyester and steel light truck construction with a full spiral nylon cap ply. Finish with continuous shoulder ribs with deep shoulder slots and advanced high modulus tread compound. The result is traction in rain and dry conditions, reduced irregular wear, and chip and tear resistance for a tire that works as hard as you do. DescriptionThe M779 is a heavy-duty tire designed as original equipment on the Isuzu NPR commercial-service truck. DescriptionAn all-position rib pattern with sidewall protector ribs for resistance to cuts and abrasions. DescriptionAn on-highway radial tire for service in heavy commercial applications. DescriptionBEST IN CLASS! - Finally, a tire that lets drivers, in any car, on any road, maximize their driving pleasure. The moment you shift gears and turn the wheel, the RE760 Sport goes into action, giving you quick response and precision control. You will be impressed by the powerful grip and stability in both wet and dry conditions. Combine this exhilarating performance with a tread patter optimized to reduce noise, and you might become addicted to the road. DescriptionAll-Season Tread Design Original Equipment (OE) tire on select vehicles. See Sizes and Specifications for Original Equipment fitments. DescriptionSummer - Original equipment on many high-performance vehicles, the Potenza RE050 RFT is built for the pleasure of driving. This tire comes loaded with race-proven technology: a tread pattern that promotes rapid water evacuation, variable dimensions in the tread blocks, and a smoother shape to reduce road noise. Run-Flat technology allows the Potenza RE050 RFT to continue to operate safely at a speed of up to 50 mph for a distance of up to 50 miles under normal driving conditions with zero inflation pressure. Put this Potenza through its paces and discover what ultra-high performance really means. DescriptionSummer - Original equipment on many high-performance vehicles, the Potenza RE050A RFT is built for the pleasure of driving. This tire comes loaded with race-proven technology: a tread pattern that promotes rapid water evacuation, variable dimensions in the tread blocks, and a smoother shape to reduce road noise. An asymmetrical tread pattern in the RE050A RFT tread increases surface contact to enhance acceleration and cornering. Run-Flat technology allows the Potenza RE050A RFT to continue to operate safely at a speed of up to 50 mph for a distance of up to 50 miles under normal driving conditions with zero inflation pressure. Put this Potenza through its paces and discover what ultra-high performance really means. DescriptionSummer - Original equipment on many high-performance vehicles, the Potenza RE050A is built for the pleasure of driving. This tire comes loaded with race-proven technology: a tread pattern that promotes rapid water evacuation, variable dimensions in the tread blocks, and a smoother shape to reduce road noise. An asymmetrical tread pattern in the RE050A tread increases surface contact to enhance acceleration and cornering. Put this Potenza through its paces and discover what ultra-high performance really means. DescriptionOriginal Equipment on Infiniti FX45 and G35, Pontiac Vibe, Saab 9.2X, 2010 Hyundai Genesis. DescriptionSummer - Designed with the performance enthusiast in mind, the Potenza RE-11 brings together many of Bridgestone technologies in one impressive package. With a unique new sidewall shape and radical new stealth block derived from our Formula One (TM) race tires, the new Potenza RE-11 boasts the significant level of grip and handling for the street and track--and it will ignite your adrenaline in the process. DescriptionSummer - Original Equipment on BMW Z8, Lexus SC430. DescriptionAll-Season Tread Design - The H-Speed Rated Firestone Champion HR is designed to match the performance and handling level of many original equipment high performance applications. DescriptionThe Potenza RE92 all-season, world-class high performance tires complement todays sporty coupes, sedans and sports cars. The Potenza RE92 became popular because of its extensive use as original equipment on vehicles like the Acura Integra, Infiniti Q45, Mazda 626 and Toyota Camry. DescriptionAll-Season Tread Design - This tire has a dual personality. On one hand, its all racing-inspired in looks and performance, with a wider footprint that takes corners like a pro and traction technology that gives you rock-solid control on wet surfaces. On the other hand, an advanced technology called Veri-Pitch that minimizes pattern and road noises often found in performance tires. It doesnt get any better than that. DescriptionAll-Season Tread Design - The Firehawk PV41 is specially designed for law enforcement and high-speed emergency use. This V-Speed rated tire combines excellent wet and dry handling with an emphasis on quick steering response. Built for durability, the PV41 gives you good wear without sacrificing ride quality. And, as further endorsement of high performance, it passed the demanding Los Angeles County Sheriff's Department and California Highway Patrol high-speed wear tests. DescriptionSummer - Original equipment on many high-performance vehicles, the Potenza RE050 is built for the pleasure of driving. This tire comes loaded with race-proven technology: a tread pattern that promotes rapid water evacuation, variable dimensions in the tread blocks, and a smoother shape to reduce road noise. Put this Potenza through its paces and discover what ultra-high performance really means. DescriptionSummer - Produced exclusively as original equipment fitments for the Honda S2000 CR and the Subaru WRX STI, the Potenza RE070 provides a sporty blend of ride quality, noise comfort, and handling, along with dry and wet traction. DescriptionAll-Season Tread Design - Used as original equipment on the Infiniti FX35 and FX45, the Potenza RE92A Run-Flat combines performance, comfort, and durability. DescriptionAll-Season Tread Design - The Firehawk Pursuit is specially designed for the law enforcement and high-speed emergency use. This W-Speed rated tire combines excellent wet and dry handling with an emphasis on quick steering response. Built for durability, the Firehawk Pursuit gives you good wear without sacrificing ride quality. And, as futher endorsement of high performance, it passed the demanding Los Angeles County Sheriff's Department high-speed wear tests. DescriptionSummer - Original equipment on select vehicles. DescriptionSummer Tread Design - Original equipment on many high-performance vehicles, the Potenza RE050A MOE (Mobility Extended) is built for the pleasure of driving. This tire comes loaded with race-proven technology: a tread pattern that promotes rapid water evacuation, variable dimensions in the tread blocks, and a smoother shape to reduce road noise. An asymmetrical tread pattern in the RE050A MOE tread increases surface contact to enhance acceleration and cornering. Run-Flat technology allows the Potenza RE050A MOE to continue to operate safely at a speed of up to 50 mph for a distance of up to 50 miles under normal driving conditions with zero inflation pressure. Put this Potenza through its paces and discover what ultra-high performance really means. DescriptionSummer Tread Design - Offering ultra high performance, Pirelli P ZERO has been chosen as the original equipment for the most powerful, performance driven cars on the market. Characterized by an asymmetric tread pattern that improves braking and performance, P ZERO is noted for its enhanced performance and control. Excellent in wet conditions, it reduces the risk of hydroplaning,and offers increased safety and handling. State of the art nano-composite compound ensures the maximum grip and stability essential to sports driving. The tires structural integrity improves steering response and ensures uniform tread wear. A special S-shaped groove in the tread reduces interior noise levels, enhancing driver comfort. The P ZERO is truly a benchmark in its segment and ideal for all of the finest sport and exotic cars. DescriptionSummer Tread Design - Original Equipment on Ferrari and Porsche. DescriptionSummer - Original Equipment on Acura TL, Lexus GS400 and IS250. DescriptionSummer - Original Equipment on the Acura NSX. DescriptionAll-Season Tread Design - The Potenza RE960AS Pole Position gives premium sports car owners a solid all-season tire and a performance tire wrapped up in a racy looking package! Silica and a leading edge sipe add to the wet/dry adaptability. If you want undaunted performance when the weather switches gears, go with the Potenza RE960AS Pole Position. DescriptionSummer - The Expedia S-01 is a maximum performance tire which was designed as original equipment for Aston Martin, Ferrari, and Mercedes-Benz. DescriptionAll Season Tread Design - Engineered for peace of mind in hot, cold, wet and dry conditions, the N5000 is an all season choice. Excellent water drainage and anti-hydroplaning is achieved with 4 straight wide grooves. A straight center rib block serves to effectively address driving stability at high speeds, and provides excellent steering response. Noise reduction and vibration, which can produce uneven wear is diminished with the N5000's curved directional groove edge and 5 random pitch variation. DescriptionSummer - Racing bred with street manners makes the Ecsta LE Sport the perfect choice for European sports cars and sports sedans. Designed to provide maximum performance in wet and dry performance driving conditions, the asymmetrical Ecsta LE Sport brings street sophistication to drivers who push their sporty cars to the limit in dry and wet street conditions. DescriptionSummer - The Ecsta SPT is the ideal tire for the sports car owner on a budget and sedan owners looking for a sportier feel or plus-sized fitments. The directional tread design provides excellent water drainage with intermediate and center rib blocks that deliver steering response and ride comfort. The silica tread compound delivers excellent wet and dry traction under normal or high performance driving. The Ecsta SPT is available in staggered fitments and also features Kumho Tire's XRP - Extended run-flat technology. DescriptionAll-Season Tread Design - The CP641 for passenger vehicles utilizes a directional tread design offering superior hydroplaning resistance in high-speed driving. The straight wide grooves further enhance driving performance in wet weather, providing excellent drainage and anti-hydroplaning performance. The CP641�s dual center rib increases directional stability, while the optimized sectional design reduces pattern noise. DescriptionSummer - Summer high-performance driving is taken to the ultimate level with the N3000, featuring a rim protector to help protect alloy wheels from accidental curb damage. A rigid shoulder block design improves cornering. At high speeds, the continuous arrow center rib helps directional driving stability and braking. When it rains, the V-shaped tread drains water for greater safety and confidence. Lastly, pattern noise is reduced with Nexen's 5 random pitch variation. DescriptionAll-Season Tread Design - The N7000 provides peak performance for all season passenger car driving. The round block edge produces a quiet and comfortable ride while the tire's rigid shoulder block enhances stability and hugs those turns. In wet and snowy conditions, the kerf design and silica compound work in tandem to assure driver confidence; wide straight grooves yield excellent water drainage and anti-hydroplaning performance. DescriptionSummer - The NT555 is a summer-oriented ultra high performance street tire designed with the performance driver in mind. The NT555 provides increased traction and handling capabilities while prolonging the life of the tire. The NT555 will get you off the line quickly, provide stability in the straights and confidence in the corners. 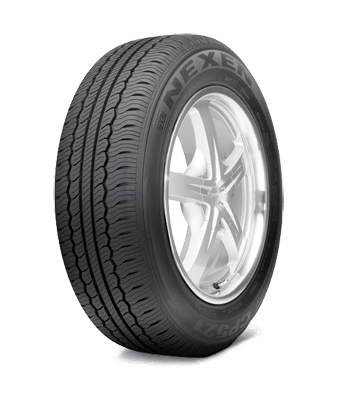 DescriptionAll-Season Tread Design - The Neo Gen� is an all-season ultra high performance radial created to provide a comfortable ride in all weather conditions. Its silica-reinforced tread compound and asymmetrical non-directional design help provide comfort, performance and peace of mind all year round. DescriptionSummer - The Potenza S-02 is a max performance tire designed as original equipment for high performance cars such as Aston Martin, BMW, Ferrari, Honda, and Porsche. It provides exceptional levels of wet and dry grip, along with responsive handling, and predictable high-speed stability and traction. DescriptionAll-Season Tread Design. Original equipment on vehicles including Chrysler Sebring, Dodge Avenger, and Honda Civic. Call for details. DescriptionAll Season Tread Design. Produced as original equipment on Toyota Sienna. Call for details. DescriptionThe Insignia brand means excellent value. Now, added technology features make the Insignia SE200 tire an even bigger value for drivers. Silica added to the tread improves wet traction. Along with all-season construction and the security of an excellent warranty, the Insignia SE200 gives you performance excellence--just what you expect from a Bridgestone brand tire. DescriptionThe FR710 brings technology, affordability, and popularity together. The wide footprint adds comfort and quiet to the ride. These features make the FR710 an excellent value. DescriptionAll-Season Original Equipment on BMW 3- and 7-Series, Infiniti Q45, and Lexus GS/SC430. DescriptionOriginal equipment on select vehicle such as Mercedes-Benz and Mini Cooper. DescriptionThe Turanza EL400 gives you demand of the road with easygoing comfort. The style is premium. But the price is surprisingly manageable. DescriptionThe latest in our line of environment-conscious tires, the Ecopia EP422 is an all-season tire that delivers a smooth, comfortable ride. It is designed to improve rolling resistance, which helps it achieve better gas mileage. With its innovative tread compound and advanced traction technology, the tire is a strong, reliable performer on wet and dry surfaces--all year long. DescriptionIf you drive a Sedan and want to improve its performance in dry or rainy conditions, the Turanza Serenity Plus tire is the ideal option. Along with its improved performance on wet surfaces, the Serenity Plus also offers long wear life and a quiet, comfortable ride. 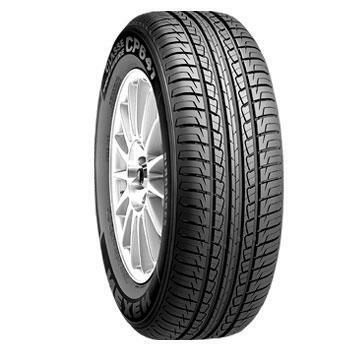 DescriptionThe Turanza EL42 is one of the most widely-used original equipment tires. Some popular fitments include Acura TL, BMW 7-Series, X3 and X5, Honda Odyssey, Infiniti G35, Lexus GS/LS/SC430, LS460 and LS600h, Nissan Altima, Saturn Vue, and Toyota Solara. DescriptionThe Turanza ER30 is used as original equipment on many of today's most popular luxury performance vehicles, including BMW 3-Series, 7-Series and X5, Lexus GS300, Mazda Miata, Mercedes ML- and R-Class, and Porsche Cayenne. DescriptionThe Turanza EL41 comes as original equipment on many of today's most popular imports, including the Honda Accord, Mitsubishi Eclipse, and Toyota Corolla. 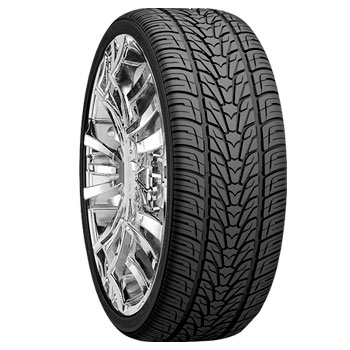 DescriptionThe Bridgestone B381 is a premium radial designed for family sedans. It enhances fuel economy while delivering quiet comfort and all-season traction. DescriptionThe Ecopia EP-02 is designed as original equipment for the Toyota RAV4 EV. DescriptionThe Turanza ER300 comes as original equipment on the Mercedes S-Class (AMG). DescriptionSummer - Original Equipment on the Mercedes - Benz S-Class. DescriptionAll-Season Tread Design - The Turanza EL400 gives you demand of the road with easygoing comfort. The style is premium. But the price is surprisingly manageable. DescriptionSummer - The Turanza ER 33 is used as original equipment on luxury performance vehicles including Infiniti G35 and M45, and Lexus IS250/350, LS430 and LS460.